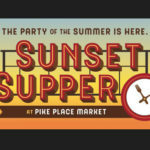 Celebrate the fun of Pike Place Market by enjoying the bounty of local food, wine, brews and more! At the height of summer in Seattle we invite you to join us for this special evening at the Market where you will sip and savor your way through many of the region’s best restaurants, wineries, breweries and distilleries! 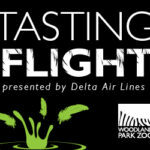 Experience a huge array of Northwest’s boutique wineries on the zoo’s picturesque North Meadow with Tasting Flight Presented by Delta Air Lines! Live music food trucks, and more! 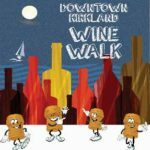 Grab some friends and go on a wine adventure of local wineries at downtown Kirkland businesses. Meet the winemakers from 13 wineries and 2 breweries and sip, shop, stroll, and sip some more! 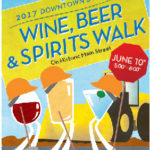 Grab your friends, bring your favorite drinking glass and head to downtown Bothell for the June Vintage Bothell Wine, Beer & Spirits Walk! 15 retailers are hosting your favorite local wineries, breweries, and distilleries! Tagged With: Alexa’s Café, Baroness Cellars, Blackfish Spirits Distillery, Chandler Reach Vineyards, Chatter Creek Cider, Decibel Brewing Company, Des Voigne Cellars & Brewing, Eye of the Needle, Long Cellars, Martedi Cellars, McMenamins Anderson School Brewery, Sat. 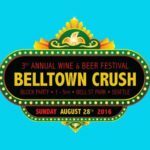 June 10 2017, Scratch Distillery, Silver Lake/Glen Fiona, The Bothell Chamber of Commerce and Seattle Uncorked, Truth Teller, Vintage Bothell Wine Beer and Spirits Walk, Wilridge Winery, Woodhouse Wine Estates, Woodinville Whiskey Co.
Belltown Crush Block Party, a summer wine and beer festival featuring 25 wineries & breweries & noshes available from local food trucks & pig roast from Bell & Whete, live music provided by Belltown Beats & a grape stomping competition! It will be the perfect way to spend a Sunday afternoon!